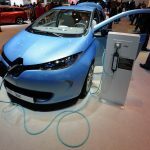 At the end of the first quarter of 2014, Renault will start marketing the EVSE cable for occasional use for ZOE, which extends ZOE’s charging options by enabling the vehicle to be charged from a standard household power socket. Initially scheduled for launch in France (March 4), Germany, the Netherlands, Austria and Luxembourg, it will gradually become available across the rest of Europe in the course of 2014. The EVSE cable for occasional use can be used to plug ZOE into a 230-volt household power socket for top-up charging1. says Aurélien Subsol, ZOE product manager. It will also be available as an accessory for current ZOE owners. 1 Proper functioning of the EVSE cable for occasional use is only guaranteed if the electrical installation is of a high quality and compliant with standards. 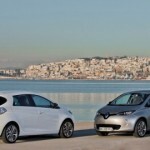 In January 2014, Renault rolled out a battery lease plan designed for ZOE customers who drive around 3,000 miles a year. Available in all the countries where ZOE is marketed and reserved for retail customers buying a new ZOE, the plan is priced from £45 a month with a minimum contract term of 36 months. Mileage is restricted to 750 miles per quarter, which is equivalent to an average daily home-work commute of 12 miles. Z.E. Access rounds out the Z.E. 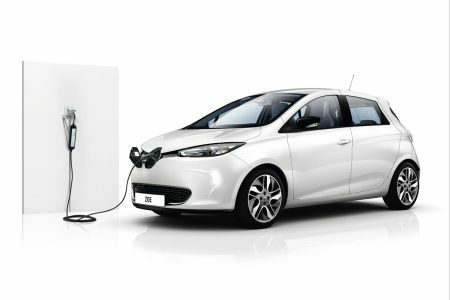 Flex plan – available since the launch of Renault ZOE – which is priced from £70 a month over three years and includes up to 7,500 miles per year. For customers who do annual mileage of up to 4,200 miles (i.e. 16 miles per day), Z.E. Access is more affordable than Z.E. Flex. Renault ZOE is a readily affordable all-electric city car designed for everyday use. Boasting more than 60 patents filed in the course of its design and development, ZOE features the most advanced electric vehicle technology to promote user friendliness and extend range. Using the Chameleon charger, ZOE is the only electric vehicle that can be charged in between 30 minutes and 10 hours depending on the power available at the socket (between 3 and 43kW) via a single plug on the car. Using a standard 230-volt socket (2.2kW), ZOE can also get a top-up of approximately 16 miles in three hours with the Flexi Charger. ZOE has a best-in-class range of up to around 93 miles depending on driving style and weather. It is also the first mass-market electric vehicle to achieve an NEDC** range of 130 miles thanks to its Range OptimiZEr system, which improves range whatever the conditions. Safety is also a core focus. According to the independent European safety assessor Euro NCAP, ZOE was the best supermini in its class in 2013, ahead of its internal combustion-engined rivals. To date, more than 10,000 customers have been won over by Renault’s 100% electric hatchback. * During road use, excluding wear parts. ** New European Driving Cycle. Standard driving cycle used by type approval authorities to assess the fuel economy and range of passenger cars. NEDC range data is indicative and provides a base for comparison between vehicles. The LCV variant of Twizy, dubbed Twizy Cargo, is being officially unveiled at the 2014 Geneva Motor Show. The result of a partnership between Renault Tech and Renault Sport Technologies, Twizy Cargo boasts a watertight boot with a capacity of 180 litres (payload: 75kg), accessible via a lockable rear door that opens to 90 degrees. This conversion was made possible by adapting the cut-out of the rear end and doing away with the passenger seat. The front seat is still adjustable. 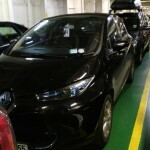 Some 38,000 electric vehicles from the Z.E. range have been registered in Europe over the period between the commercial release of Kangoo Z.E. on November 28, 2011, and ZOE’s first anniversary, celebrated at the Château de Versailles in France on January 27, 2014, with 50 owners and media representatives in attendance. According to a survey conducted among the first ZOE buyers by IPSOS Loyalty, 98% of ZOE owners said they were satisfied and 95% would recommend the car to family and friends. ZOE’s quiet operation, driving enjoyment and design were the top reasons for satisfaction. Kangoo Z.E. also scored very highly in another survey – 95% of customers were satisfied with their vehicle (Source: survey conducted by Maxiphone in 2012). In the UK, e-Car club have now launched their second phase of their car-sharing business. Their fleet of vehicles on the University of Hertfordshire campus allows students and staff access to a range of Renault Z.E. vehicles for a very low fee – making their daily lives easier and less expensive. 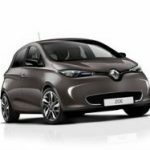 In Switzerland, Mobility Carsharing bought 19 Renault ZOE superminis at the end of 2013 to extend its range of electric vehicles. The company now boasts one of the largest electric vehicle fleets in Switzerland. More than 105,000 customers can now car-share a ZOE thanks to Mobility Carsharing. 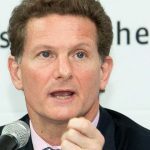 In Germany, Cambio-Carsharing and Hamburg’s Sparda bank have introduced an innovative car-sharing programme as part of a small property development project. Two electric vehicles, including a Renault ZOE, have been available for car-sharing since late 2013 by the 14 tenants of a recently renovated apartment block in Hamburg. Bee-Green Mobility Sharing has a fleet of 40 Twizys to meet the needs of local residents and tourists alike. The vehicles can be reserved by phone or on the web and then picked up from one of the 35 Bee Points located in the city’s car parks. They can then be dropped off at any other Bee Point. Ci.Ro (City Roaming), set up by the non-profit organisation Napoli Città Intelligente, provides individuals or business users with eight ZOEs, three Kangoo Z.E.s and a Fluence Z.E. In France, 11 Novotel hotels have made Twizys available free of charge to guests who stay for more than four consecutive nights. Featuring ultra-compact dimensions and open bodywork, Twizy is ideal for city driving. 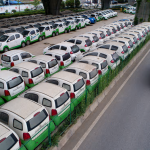 In Lyon, the Bluely car-sharing programme, funded by the Bolloré group, will include 50 Twizys. Production of the vehicles has just started. This car-sharing programme is the Bolloré group’s second, following on from Autolib’ in the Paris region. The Lyon service provides electric vehicles other than Bolloré’s Bluecar. Renault is offering its Z.E. retail customers a free annual subscription covering the 4,200 Autolib’ bays until February 28, 2014. Customers are then billed €1 per hour for using the service, which also includes parking. Parking is free for electric vehicles in Paris. Electric vehicles are perfect for a broad spectrum of business uses, including home deliveries and car rentals for tourists. Following in the footsteps of the French postal service, which ordered 10,000 Kangoo Z.E.s due to be delivered in stages up until the end of 2015, the Austrian postal service has just signed a contract to buy 40 Kangoo Z.E.s. In England, Eco Travel Network rents out seven Twizys to residents, tourists and businesses so they can explore the local countryside in the Brecon Beacons. Winner of the Green Transport Prize, they have also purchased a Kangoo Z.E. to round out their fleet. Visitors to the New Forest national park have also been delighted by the ability to hire Twizys from New Forest Environmental to explore the local area, enjoying the peace and quiet from a new perspective. To date, the Renault Z.E. range – in part or in full – is marketed in 23 countries around the world. In early 2014, electric vehicles went on sale outside Europe, in Turkey, Morocco, Brazil and the United Arab Emirates.